Hi! Long time no post…a sunny, beautiful summer has meant not so much blogging! While I am looking forward to fall, I am trying not to rush these beautiful summer days. I am looking forward to fun new fall clothes at J.Crew! As I was looking through my Instagram feed earlier this week, I realized that I’ve kept to a fairly neutral palette these last few weeks. I have definitely hit that point in the summer where I’m all about the ease of an outfit and dresses seem to be on constant rotation. It has been steamy in my neck of the woods but I also have to dress for the unpredictable air conditioning of my office (read: layers!) This is a little bit of a copy and paste action, but I thought I’d share some of my neutral summer work looks from the past few weeks. They’re easy pairings and some good go-to combinations when you’re stuck on what to wear in the morning. 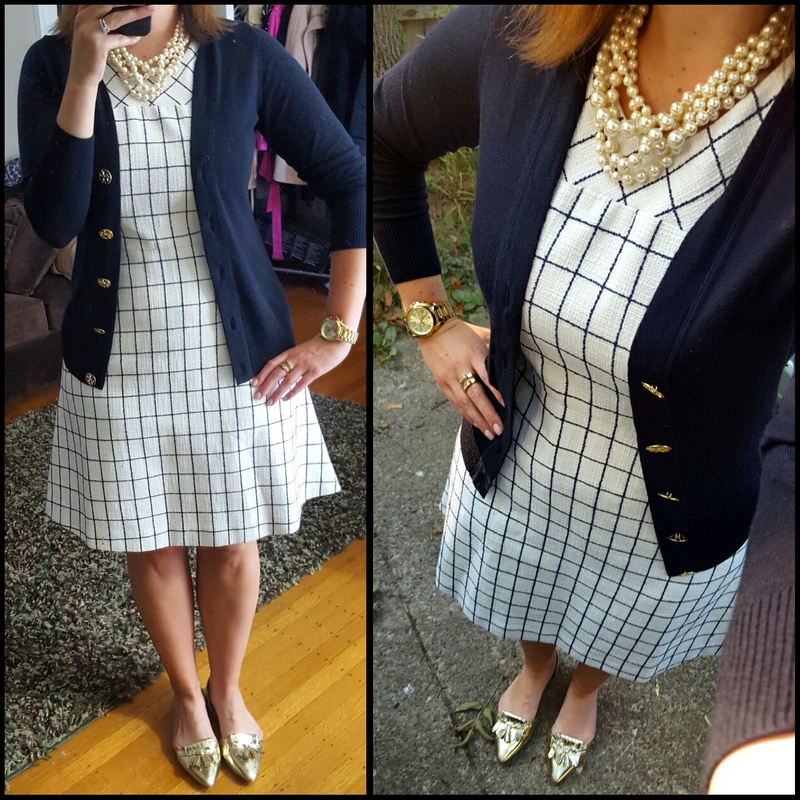 These Tory Burch cardigans are on constant rotation for me all year – even on sale, they’re a bit pricy, but I have been able to grab these on sale and my price per wear on them is so low at this point, they’ve been worth the money. They run a tad on the small size so the larger of my two sizes (Large) works for me in these. I took my usual size in the striped dress (12). Another place I’ve had a lot of luck with dresses this summer is Banana Republic. Their sales have been pretty solid – running 40/50% off sale on a regular basis and I like their easy online returns. 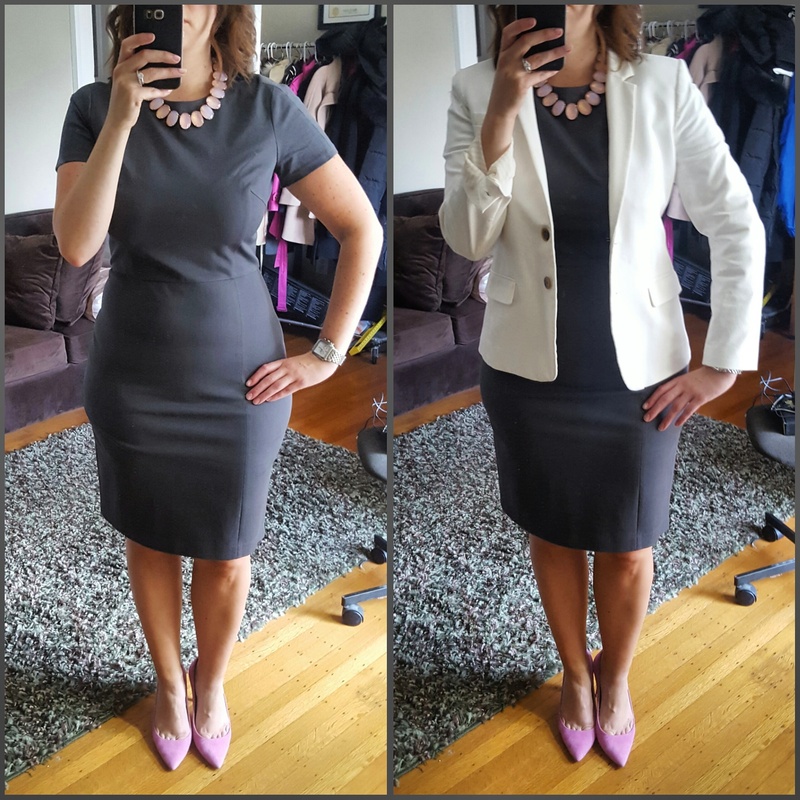 I picked this dress up on store and was thrilled with how flattering it is – I took a 12 and no need for Spanx – what more do you want?! 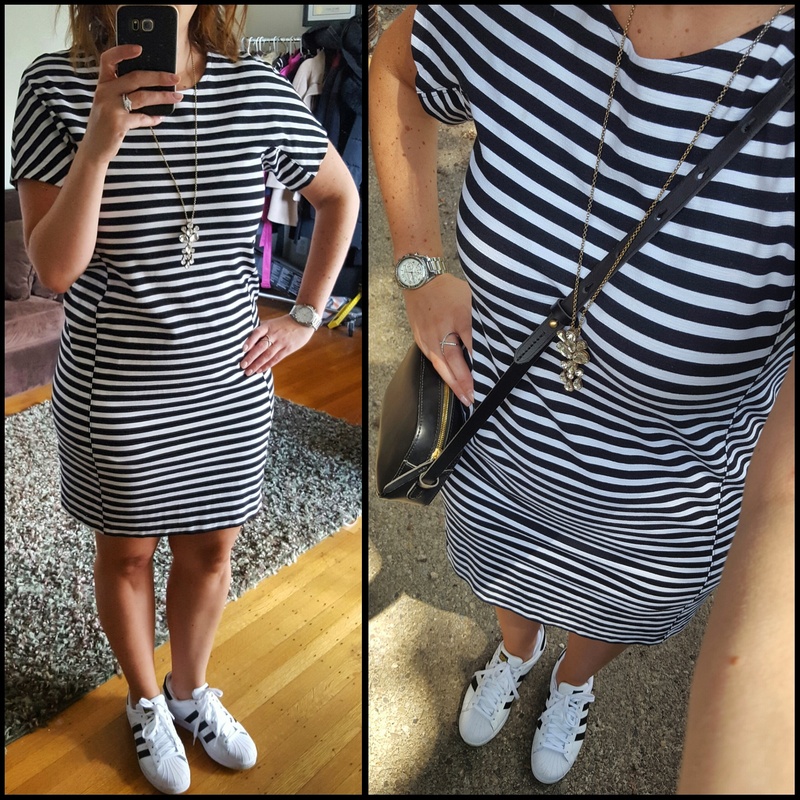 Next up, one of my go to weekend styles – with my new favorite Adidas sneakers and a striped dress (one of many in my closet!) 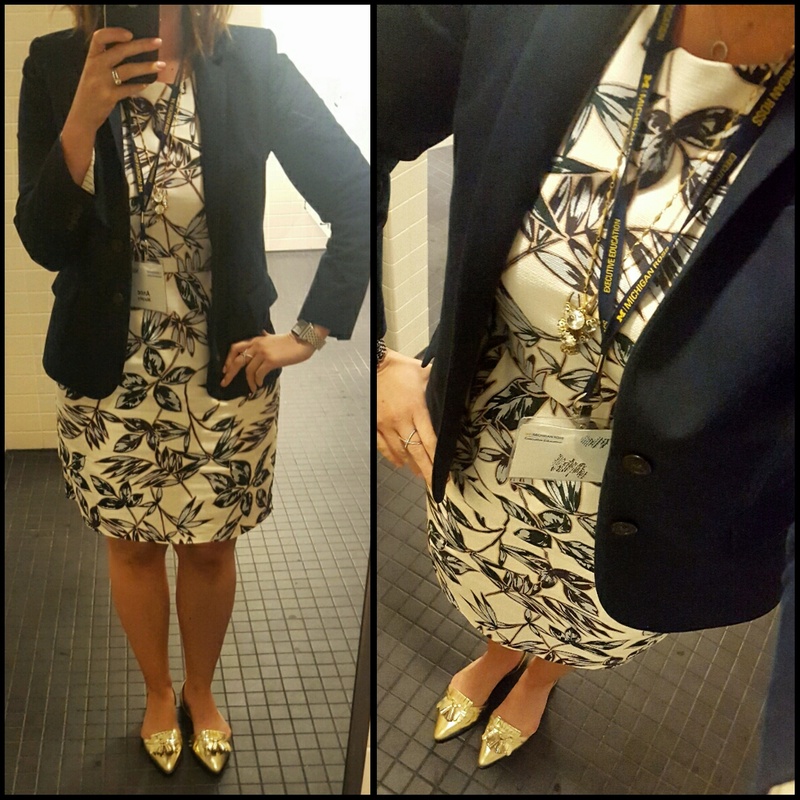 I sized down a full size in the sneakers from my usual size and I took a large in this dress. So, there you have it, some of my recent summer work outfits and a weekend outfit as well. When in doubt – stick with neutrals! Stay tuned for early fall J.Crew arrivals – hoping to get to the store next week and try on new goodies! Would love to hear what you think and thanks for visiting. 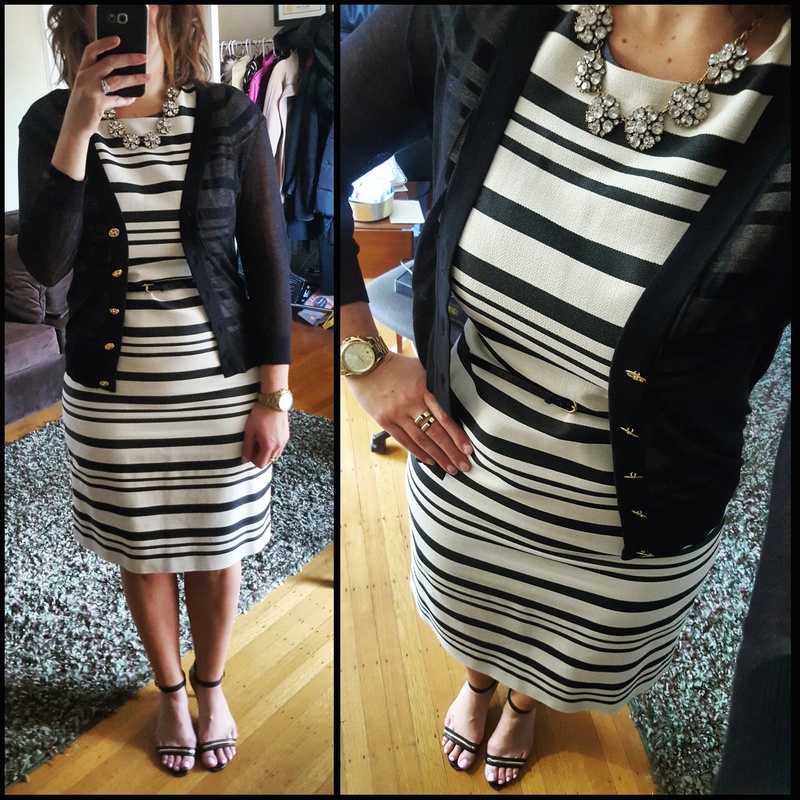 So glad to have you join TBT Fashion Link up! I am seriously thinking about getting those Addias, they have been on my wish list. I think I will use my Nordstrom rewards for them. Love these! From dressier to casual, you’ve covered the gamut.The necklaces really add a special touch. Thanks for sharing your styling ideas. I’m looking forward to the new roll out too! !